Custom rubber keypads with 3D and Contoured Keytops | Northpoint Technologies Inc.
Touch typists have used equipment featuring custom keypads with contoured keytops for many years. The benefit being that the contoured keytops helps to keep their fingers on the desired keys. Manufacturers of products using silicone keypads and conductive rubber keypads have begun to take notice of this benefit in recent years. These custom keypads with their rich 3D enhancements have become adopted by many manufacturers that create products for the high end medical instrumentation market. If you have a product that would benefit from a custom keypad that allows the end user to have increased control over the keys they touch, a conductive rubber keypad with 3D enhancements and concave keytops is an excellent choice. 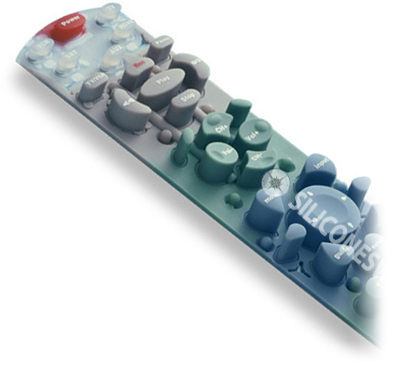 Northpoint Technologies can help you in the development of silicone rubber switches that feature 3D enhancements and contoured keytops.